Maybe you've gotten into some of the recent awesome Superhero franchise movies like The Avengers and the Batman series. Maybe you can't possibly wait one more moment for new season of The Walking Dead or the next video game episode release (I feel you, brother). Or maybe you're a hip mom or dad who wants to fit some visual and language literacy in to your kid's everyday and in a cool way (which I recommend as an educator, BTW). Maybe your reasons are something else entirely, but the basic thing is you want to see what the fuss is about comics and you want a way to get into comics without feeling weird about it. Unfortunately, comics, like video games, suffers a sometimes characterization of being exclusive cultures; if you don't know about the really obscure stuff and use the special jargon, you're not cool enough to hang out at the shops and try new things. That's baloney. I honestly don't know a single comic nerd soul who would try to alienate anyone who was interested in getting into comics for the first time. And as a side note - if you are also interested in getting into video games for the first time, communities like streamers on TwitchTV are a good resource to turn to (Gamersnorthwest are a bunch of high quality chaps always ready to talk games with everyone). 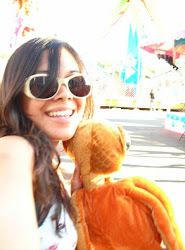 Here are my qualifications to talk on comics: I worked a year and a half in my college town's local comic shop, Atlantis Fantasy World - it was actually the game store setting in the movie The Lost Boys, and my boss is a semi-celebrity in Santa Cruz. I focused my exit dissertation in undergrad on a really awesome short-lived comic series called Polyfantastica. I also wrote a separate paper on the representation of traditional Indian cultures through Deepak Chopra's India Authentic series. I highly recommend checking both of those out. All of that was part of my education in visual cultures, and I've practiced my selling spiel for lots of titles over time. 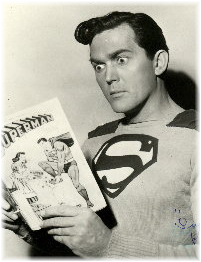 * Be sure to also check out the twin post to this one, The Jargon of the Comic Book World, for some quick vocab terms to get you what you want. So depending on where you're coming from, there will be some titles that really work for you and some that just don't do it. For some people who try to read comics and just don't find it appealing, it could be a matter of mismatched tastes and styles, or it could be that comics just don't work for them. They don't work for everyone, and that's ok. What's cool is to try different things, and comics do offer a lot of different kinds of literature to get into. This isn't a philosophical exposition on comics, their place in society, or the deeper relationships with linearity (all of which would be really great future post topics); this is just a quick and dirty list of different titles that might be appealing to some people based on what they might already be interested in. Not everything is superheroes, so if that isn't your thing, no worries. Also be sure to check the maturity ratings on books you are not familiar with, especially if you are going to give books to kids. While I'm all for learning about bodies and things, sometimes kids aren't ready for some graphic material, and it's not cool to expose children to things they aren't ready for. Here are some general suggestions for first-time comic reading for all genres: I wouldn't recommend just jumping into a current series. You might be pretty disappointed with a single issue straight out of the middle of a story arc because it will probably make no sense and be hard to follow. Typically, if you're not familiar with what is happening in a story arc, coming into it in the middle will just be frustrating. Instead, look around at trades and graphic novels and choose one of those. A trade will be a complete story in itself and can stand alone out of a series while still being part of a series. This way you can see if you like the art and writing style of the series, as well as getting a good idea of what the series is about without felling like you're missing out. Don't go buying a whole run of a series right off unless you know for sure you love it. Trades, novels, and single issues all depreciate in value rapidly, so if you dislike a story but you've shelled out $200 on trades, you'll probably be very unhappy. On the same note, I always tell people to get into comics because they want to read them, not because they think they can get rich collecting a title and selling it in the future. That's highly unlikely to happen that way at this point. All the valuable comics come from the golden age (1930's) and earlier, or are rare misprints or something crazy like that. If you are more interested in the monetary value of comics, check out the comic price guide online. Probably the first genre of comics people think of. A little razzle dazzle and POW and BAM are always pretty fun. If you want to start reading superhero comics, there's a lot of variety even within this one genre for you. It might be cool to start off reading some of the superheroes you know you like from the movies. 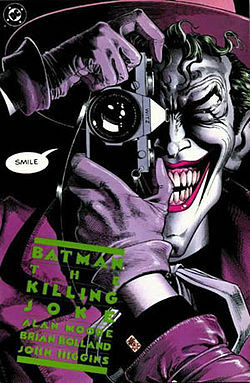 If that's your route, pick up a graphic novel featuring characters you know - The Killing Joke, part of the Batman universe, features Joker and Batgirl and is very good. This will make the story more compelling to read overall. If you're really into old-timey kinds of superheroes (thinking "holy shark repellant, Batman!") 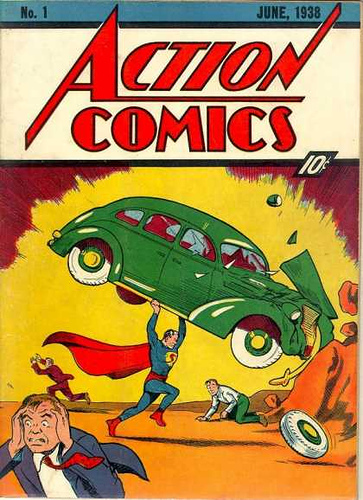 you might like some "Golden Age Comics" - these are comics that were released in the 1930's and 1940's and feature all that tricolor printed flat hokey art people most associate with comics. They're classics for a reason, though. If you're interested in superheroes that are more contemporary (which also means much more graphic in violence, BTW), look up titles from Marvel and DC written by people like Alan Moore, Joss Whedon, and Frank Miller. Want more anti-hero books? These tend to cross genres with horror and fantasy, and they are awesome gateways into a darker side of the tights and capes. If you're not so much into bashing bad guys as you are into faeries and demons and angels and drama, you are probably looking for more fantasy comics. These can get a little racy, just FYI, but again, there's something for everyone. Fantasy comics usually contain epic stories that span over a long time. They seem more like soap operas to me, and they are usually much more continuous than serial-esque superhero comics. Fantasy and horror go hand in hand pretty well, and there are a lot of cross-genre series. My personal favorites within fantasy are also some of the top sellers in most shops. Fables is pretty addicting. It's amazing how much I can get sucked into a series, and it's one I've read over a few times already. 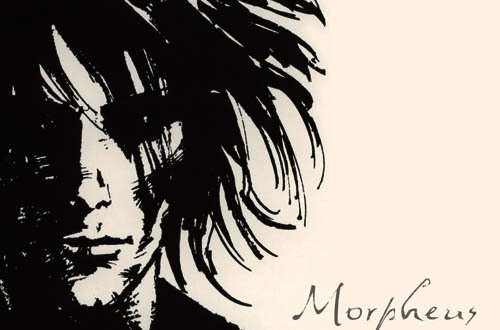 The Sandman is an amazing series and considered by some (including me) to be one of the best, and was written by one of my favorite authors in any genre, Neil Gaiman. Also, Gaiman announced at this year's Comic Con that he will be authoring a Sandman prequel, so now is probably a good time to visit the Eternals to be ready. 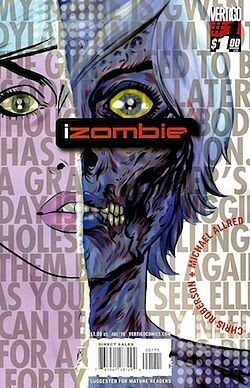 iZombie by Chris Roberson and local Oregon artist Mike Allred! So far, I've listed lots of really great titles, all of while I have read and enjoyed, but not one of them is something I would feel comfortable giving to any person under the age of 17 to read. Like I said before, I'm all for giving kids the opportunity to experience the world and see it for what it is, I try to not shy away from play violence when it comes up naturally in kid's play - but I respond to it critically and responsibly. While I don't think kids should be sheltered, I do think they deserve the chance to not see things they are not ready for, and it's up to parents and educators to determine when they are ready for whatever. There's my little rant, and my suggestion, again, that none of the titles above are really suitable for kids. But, there are so many titles that are made just for kids, it shouldn't be a problem anyway! As a middle school art teacher, I place visual literacy high in the list of prioritized lessons from my classes. Kids should learn how to read images and understand visual set ups as part of living in a highly visual world. Introducing kids to comics as a form of literature and a visual art is really cool. Language can be fluid and comprehensible in multiple medias and it can be exercised for kids through comics. A lot of kid comics are written for specific reading levels, and some are even wordless so that the story can be "read" by kids of all ages. Many of these comics are enjoyable by adults, too. 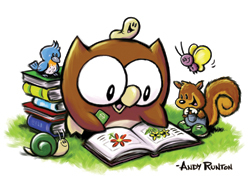 I <3 Owly, he is just too adorable, and I even like the Star Wars: Clone Wars books (despite being an otherwise avid 4-5-6er). For older kids, books like Usagi Yojimbo are a bit more meaty in story and include the suggestion of violence without any really graphic images. There are also several comics based on popular cartoon characters from Disney and Warner Brothers that attract kids to the medium. If you're interested in the rating system some publishers use, you can see Marvel's rating system on Wikipedia. So now you're set! Head to your local shop and check some stuff out :) You can learn even more about comics as an art form in Scott McCloud's book, Understanding Comics, as well as many critical philosophical writing on comics as a medium. Also, don't forget the annual Free Comic Book Day, it's always the first Saturday in May and pretty much all comic book stores participate.